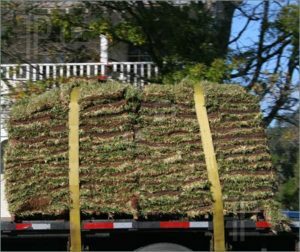 We deliver sod to the Orlando area. We are able to deliver sod by the truck load here at Orlando Outdoors. Just be sure to give us a little time to line it up for you. We can normally have a truck load of sod out to you next day. This is a lot of sod but perfect for contractors and builders.